Benefit from a locals knowledge. Coffee break and/or lunch (Asian or Western foods) on your request. 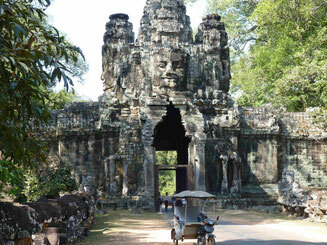 If you want to accompany you to the Islands, Phnom Penh, Siem Reap or elsewhere in Cambodia, my day rate is 55 USD and you will need to pay for all transport; a single room, all meals and incidental expenses (such as entry to Angkor Wat). Of course, I will help make all travel arrangements for you if you wish.